Play dough is a great tool for developing kids’ fine motor skills as well as for engaging in sensory-rich play. Kids can use play dough a creative and open-ended ways without even realizing all the benefits they are getting. 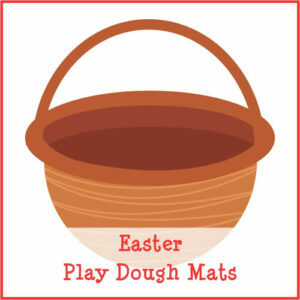 With this in mind, I have created a set of Easter Play Dough Mats that I hope your children will enjoy. 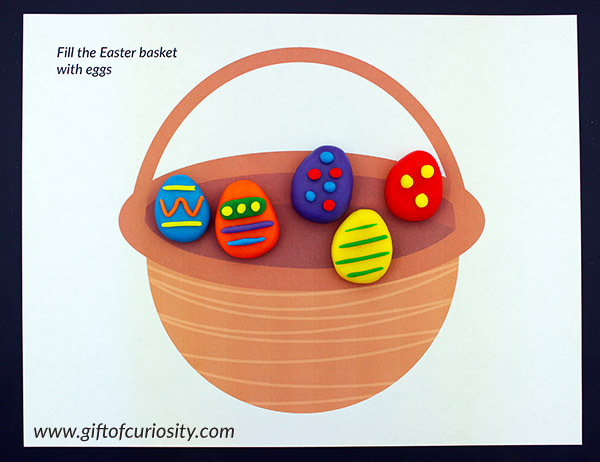 Note: For more Easter Printables, see my Easter Activities for Kids page. Laminate the pages so the play dough will peel off easily. (We use this handy, inexpensive home laminator.) Alternately, you can insert the pages into plastic covers. There are a total of eight play dough mats in this pack. Each inspires kids to try something new. 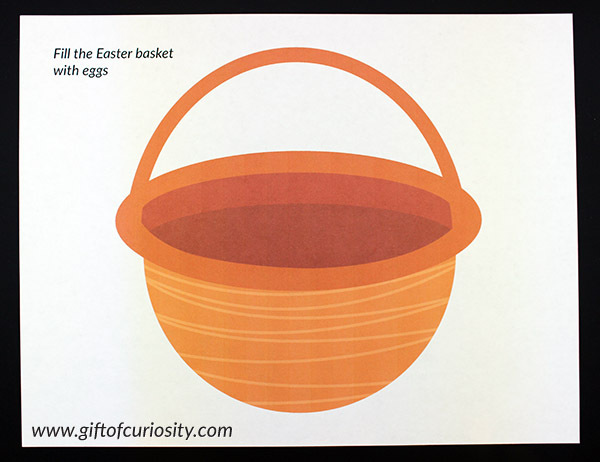 With the mat pictured below, for example, children are invited to fill the basket with Easter eggs. Here is one example of what kids can create. But of course, kids can decide to add Easter eggs however they prefer. 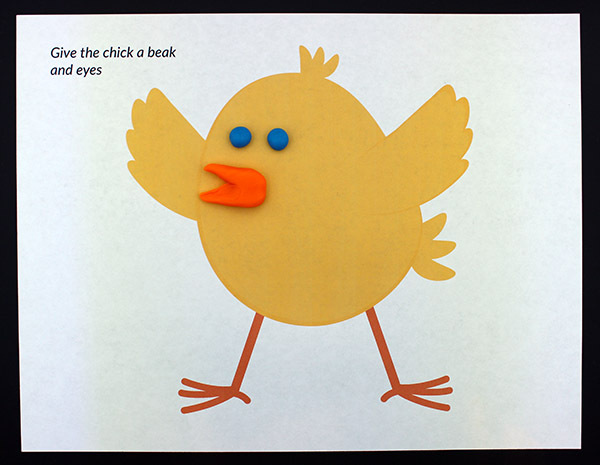 Kids can also give the Easter chick a beak and eyes. 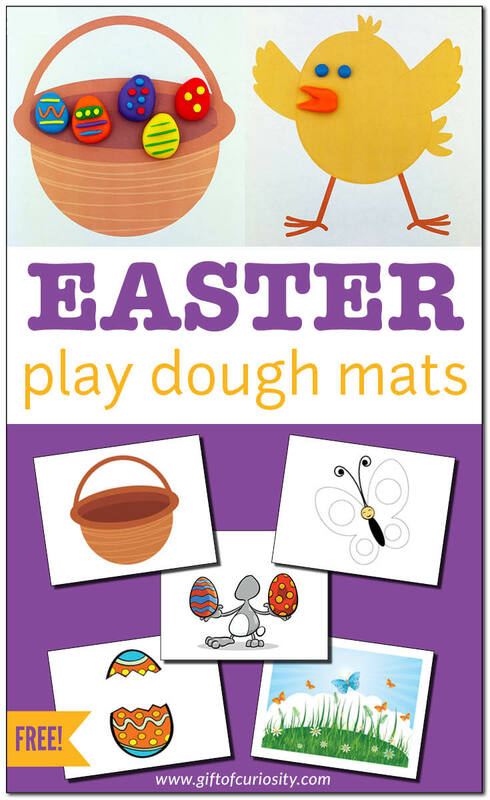 Want a copy of my Easter Play Dough Mats?